The outrage over these six great games is deserved. With the establishment of the College Football Playoff, the two biggest college football days of the year are on New Year’s Eve and Day. When the first proposal was announced, I thought the idea was great. But now, I’ve found myself in the midst of traveling and missing games in the first two years of it. This is the outrage that many others have and will experience. Now, its happening to me too. With my family and I traveling to Kansas City in the early morning hours of New Year’s Eve, and attending what is an unexpected funeral, I’ll be missing this year’s Peach Bowl, and possibly the first half of the Orange Bowl, which happens to be the more intriguing playoff matchup. So yeah, after the defending the New Year’s idea for the past year, I’ve now, for the 2nd year in a row, found myself missing games. People are busy on New Year’s Eve and Day! It’s a holiday! Why are these games happening now?! We know though, that it will never change. 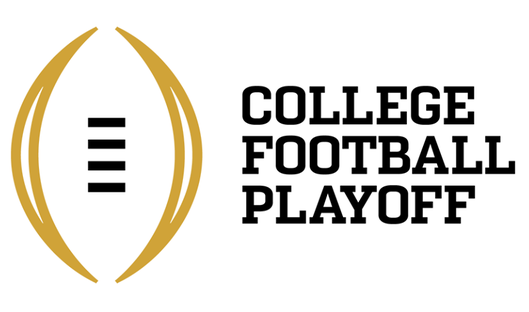 The committee will never move the games to different dates, or expand the playoff. We know how they work. Its gonna be something we’re all gonna have to deal with. Just because I’m gonna miss this game in-full doesn’t mean I’m not gonna write about it. The Everett Golson news throws an interesting wrinkle in this game, but is more disappointing as his college career is suddenly over. I’ve always liked Sean Maguire. He’s backed up for Jamies Winston and Everett Golson, and has performed every time he’s stepped in. In the five games he started this year, his passer rating was below 100 once. Granted, he didn’t throw the ball around a ton, only throwing for more than 300 yards once in his five starts. Oh, and we haven’t gotten to all the other weapons the Seminoles have on offense yet. But there’s no reason to, because Florida State should be able to score on the Cougars. Its more about whether the Cougars can score on the Seminoles. That’s the challenge. Greg Ward Jr. is the heart and soul of the Houston offense. He’s their passing and running game. Everything they do runs through him. He’s quite a weapon, but that’s a pro and a con. Ward’s an incredible athlete; we know that. This guy ran 1,041 yards this season, in addition to throwing for 2,590 yards this season. That’s an element that Florida State will have to deal with, but what else is there to worry about? There isn’t much. If the Seminoles can figure out Greg Ward Jr., which with the talented defense they have might not be much of an issue, then the Seminoles should roll. I’m planning on and hoping to see most of this game, because I think this is the better, or at least more entertaining playoff matchup. These teams are so evenly matched. Its really incredible. Explosive offenses, great defenses. So what gives? I’m gonna spill out my thoughts first, then elaborate on them later. I think this is gonna be a shootout. It could come down to the last possession. Baker Mayfield and DeShaun Watson are great quarterbacks, and are playmakers. Watson has the extra element though with the running ability, or at least, the more effective running game. You don’t want Baker Mayfield running if he doesn’t have to. Watson can do that. Oklahoma can attack via the ground and air; Samaje Perine has that game-to-game breakout potential. Both front sevens on the defensive side are fantastic. They’re run-stuffers. But Clemson is a high-flying offense. They love to pass. The Sooner secondary is the weakest part of the defense. If Clemson can expose that, then this game favors Clemson. I said that this could come down to the last possession, but what I really mean is that this will be a one-score game. That one score that Clemson will win by, will have to do with the vulnerability of the Sooner secondary. Clemson’s smart enough and has good enough receivers to expose them. They’re the best team in the country. Its still too hard to go against them. That’s nothing against the Sooners. They’ve been the hottest team in the country, and honestly, I do think Clemson’s nervous. Oklahoma’s been a great story and they’re super fun to watch. But its too hard to go against No.1 Clemson. The upset will have to wait, at least until the next game. This game sets up oppositely of the other playoff matchup. I expect the Spartans and Crimson Tide to participate in an old school, grudge-match style game. The Michigan State defense is quite underrated, and that’s not good news for Alabama, who have an overrated offense. Yes, they have Derrick Henry, the Heisman winner. But without him, Alabama’s another mediocre SEC team with a good defense. He is Alabama’s offense, and facing a tough Michigan State front seven is gonna cause problems. I’ve never believed Jake Coker was a great, or really even a good quarterback. He had a very good year, but he’s not mobile, and has trouble with awareness in the pocket. The Spartans have to get pressure. Distracting him leads to bad decisions. Michigan State has to score off turnovers to win. The Crimson Tide have 3rd best defense in the country. We all know that; its something everyone’s aware of. Michigan State’s offense isn’t as ground-and-pound as Alabama’s is, mostly due to the fact that they have a much better quarterback. Connor Cook is phenomenal, and will probably go in the 1st round in the 2016 NFL Draft. The Spartans use the running game in the short yardage, and go to the air in long yardage situations. Traditional, but not ground-and-pound. But Michigan State’s passing game is a juggernaut, at least compared to Alabama’s. The Crimson Tide have to cover well, because Cook will make them pay if not. I’m taking the underdog. Not because I hate Alabama. Not because I felt like I needed to take an underdog. But because I do think the Spartans are the better team. I think this game will prove that. What a great matchup. These are two media darlings, who’re never out of the spotlight. Everyone loves them, or feels sorry for them, no matter what’s going on. Its perfect! I doubted Notre Dame heading into the season, and the only reason that prediction came through was due to the incredible amount of injuries the Fighting Irish sustained. And still, through all of that, they’re here: In the New Year’s Six. Ohio State’s had an interesting season themselves. Turmoil, success, and a bunch of other wacky stuff. And still, they’re here. Just like the Irish. Football wise, this game could go a lot of ways. But the biggest matchup is whether Notre Dame can defend Ohio State. The Buckeyes have so many ways to attack offensively. Ezekiel Elliot is one of the best running backs in the country, but this Irish front seven, which has had its fair share of injuries, is still quite good. The best way for Ohio State to score is gonna be through the air, against the Irish secondary. The Buckeyes have a great offense, with many ways to attack. Throwing the ball is what works in this game, but that doesn’t apply vice-versaly. I believe Notre Dame will have serious issues scoring. The Buckeyes give up the 2nd least amount of points in the country. I like DeShone Kizer. He’s proved me wrong this year. But is he good enough to get his offense down the field against a defense this tough? Probably not. I’m taking the Buckeyes. I struggled with analyzing this game and how it’d play out. Honestly, I’m not sure how good of a game this will be. I root for Stanford. I want them to win. And I haven’t given Iowa the credit it deserves this season. So it should be pretty clear who I’m gonna take, right? I’m trying to avoid using the word “choke” here with Stanford. But Iowa’s super good and I know I’ve underrated them. That’s scary. The Hawkeyes have a very good defense, and an okay offense. Stanford’s the opposite (That’s a change that occurred this year, as the Cardinals have been a team more like Iowa in past years). When I said this may not be that good of a game, I mean entertainment wise. The easiest way to predict this game would be an old-school, grudge-match prediction. A lackluster offensive game that features a lot of field goals. And since I’m still stumped on it, thats what I’m gonna go with. This is gonna be really fun. I loved watching both of these teams this season. They always put on a show. So how great is it that they get to meet? There’s gonna be a ton of points put up between these teams; we’re looking at a complete shootout here. The Rebels have a good defense, tied for 36th in the country. However, the secondary is the weak spot, and by weak spot, they’re ranked 100th in the country. Not great! But it won’t be a huge problem. Because Ole Miss is gonna score too. A lot. I’m not sure there’s a ton of strategy to this game. There’s a hot take for you. Just chuck it and score. That’s how this game will play out. And no, I don’t feel good about this.